Online Marketing, Done For You. You’re ready to take your private practice to the next level. With our online marketing services, my team and I can help get you there. Having a great website is phase one of any online marketing journey. You need a place that potential clients can find you and without it, you’ll get passed over for the competition. If you’re just starting your practice, or looking to ramp up your business, this is where you’ll want to begin. Our website packages will help you launch with style and ease so you can attract more clients and grow your practice well into the future. Blogging can be a great way to boost traffic to your private practice website and increase your Google rank. It’s also a great way to stand out among potential clients as an expert in your field. We can help you create an extremely valuable blog on your website with a clear content marketing strategy as well as custom-written blog posts that rank well in Google. With our blog writing service, you’ll no longer have to come up with topics, spend hours researching, writing and editing articles or do any of the search engine optimization. Get started with a completely hands-off blogging solution. What good is having a website if no one can actually find it? Search Engine Optimization is a long-term strategy to help your website be found by the people searching for your services. When your website ranks well for keywords pertaining to your services, it means more leads and more clients for you. Our team of SEO professionals can audit your current website, put you on the map (literally!) with local SEO opportunities as well as provide fully done-for-you search engine optimization and keyword research. 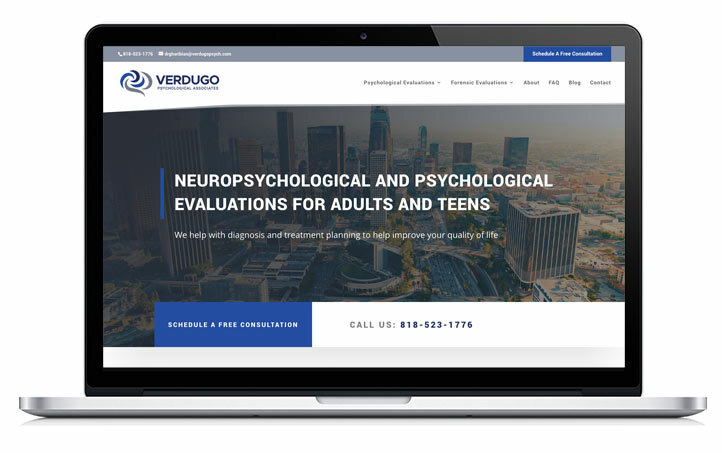 We’ll build a base of authority to your therapy site and your pages with original content relevant to your ideal client. We’ll fully optimize all the pages on your website so they have the best chance of ranking. Get on the map, outrank your competition and make sure Google (and potential clients!) know exactly where you are. Your logo will be one of the first things a potential client sees when they land on your website. Are you capturing their attention and communicating who you are and what you’re about with a professional logo, or losing them due to a lack of branding? Get a logo that finally defines you and sets the tone you’ve always wanted for all your marketing. I know what it’s like to try and figure out on online marketing strategy all alone. The Googling, the questions and all the roadblocks that can come up along the way. So, I offer coaching calls as a way to help you overcome any challenges you may be facing with your marketing and keep you moving forward. They are designed to give you answers and the confidence you need to move forward with marketing your private practice online. Tired of dealing with hosting companies and all the settings? We don’t blame you. We offer a safe home for your WordPress website with blazing fast speeds and a 99.99% uptime record so you’ll never miss another client. With WordPress hosting, we’ll also migrate your current website for free, make daily backups for peace of mind, provide top-notch security and malware protection plus you’ll get a free SSL certificate (which Google loves). Not to mention blazing fast speeds and a 99.9$ uptime. All for just $29/month. Everyone’s situation is different. That’s why we offer a free 30-minute call to help you determine the best path for you and your private practice. Fill out the form below to begin.